MADISON, N.J., Dec. 15, 2016 /PRNewswire/ -- Quest Diagnostics (NYSE: DGX), the world's leading provider of diagnostics information services, today announced that its Board of Directors elected Stephen H. Rusckowski, the company's President and Chief Executive Officer, to serve in the additional position of Chairman of the Board of Directors. The company's independent directors also designated Dr. Daniel C. Stanzione, Ph.D. as Lead Independent Director. Both appointments are effective January 1, 2017. "During his four and half years as President and CEO, Steve has demonstrated strong leadership, strategic vision, and an ability to drive results and get things done," said Dr. Stanzione. "The Board carefully considered our governance structure and determined that combining the roles of Chairman and CEO is in the best interest of shareholders to successfully continue to execute Quest Diagnostics' well-defined strategy." 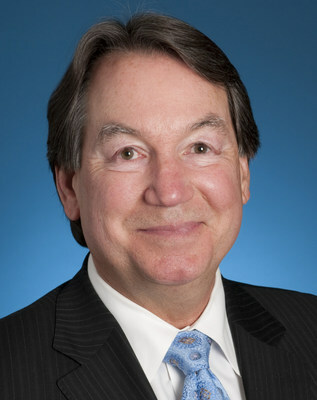 Mr. Rusckowski, who joined the company as President, Chief Executive Officer and a director on May 1, 2012, succeeds Dr. Stanzione, who has served as Chairman of the Board during the same period. "I am honored by the vote of confidence and will continue to work every day with my fellow directors and all our dedicated colleagues to pursue our goals of promoting a healthier world, building value for our shareholders and creating an inspiring workplace for our employees," said Rusckowski. "I want to thank Dan for his leadership as chairman. His contributions are greatly appreciated, and I am delighted to continue to work with him as our Lead Independent Director."